Your favorite basic white Tee. Ideal crewneck, soft combed cotton, fitted to perfection. 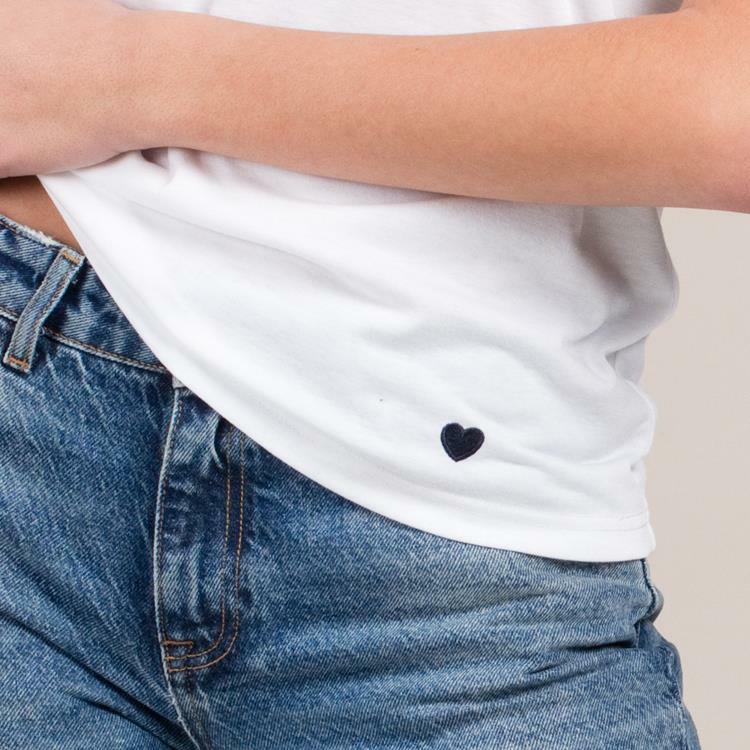 Cute heart embroidery. 35% cotton, 60% polyester, 5% elastan. Our model is 175 cm and wears S.
The Tatum is super soft and made from a stretchy material. The fit is a little tighter and therfor it has a perfect fit. Super soft wannahave crewneck sweater with the perfect fit. Ideal to enjoy the coming spring- and summer days!